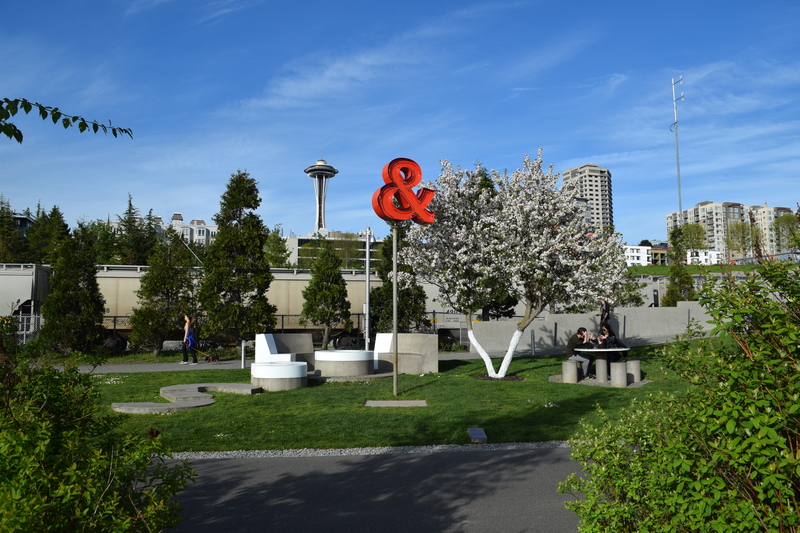 On a recent trip to Seattle I found myself strolling from downtown, along the waterfront through Olympic Sculpture, Myrtle Edwards, and Centennial Parks. 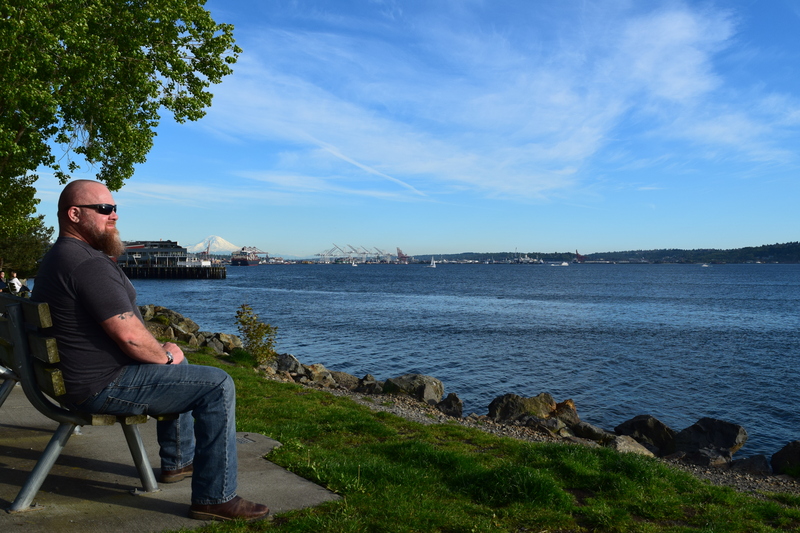 I took in the stark contrast between the downtown city skyline and the serenity of Elliot Bay and the Puget Sound. 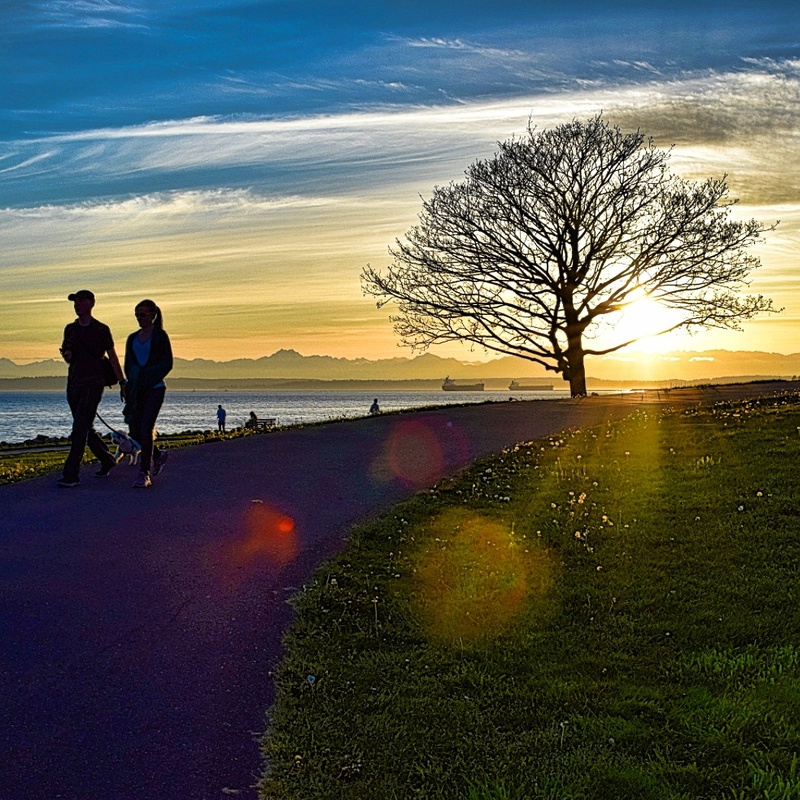 Amidst the hustle and bustle of city life I saw people seeking a simpler connection with nature and the outdoors. This included everything from people jogging, bicycling and walking with dogs, to families picnicing at the waterside and lounging in hammocks amist a garden of sculptural artwork. Being that green space within a city is limited and these areas tended to be crowded, noisy, and over run with homeless, I grasped to find glimpses of beauty in everything I could. 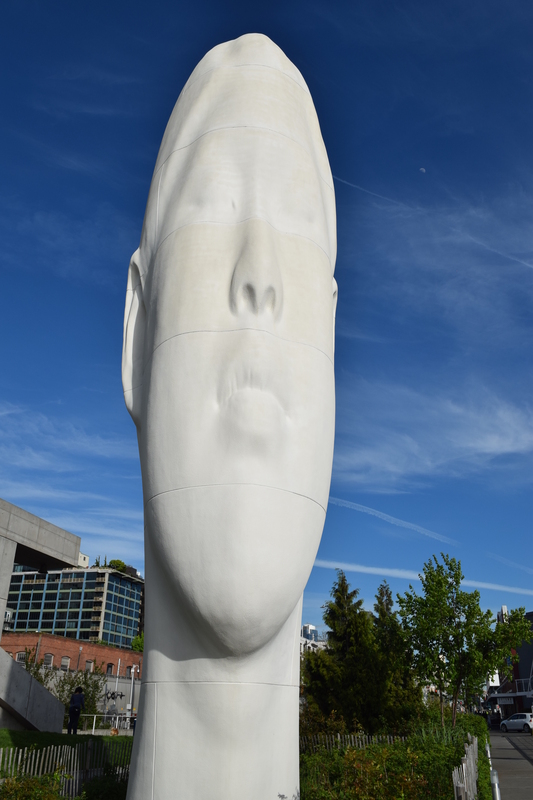 The sculptures throughout the city and parks help to brighten the concrete landscape while merging art and culture with outdoor spaces. But nothing breathes life into a cold hard cityscape like the natural beauty of the water, trees, flowers and a snowcapped mountain backdrop. The cherry blossoms were an incredible part of this, welcoming the spring season and blue skies that are so rarely seen in this dreary city and highlighting the transient nature of life among the highrises. This is what inspired me to write the haiku above “Sakura Delight”. I hope you enjoy!